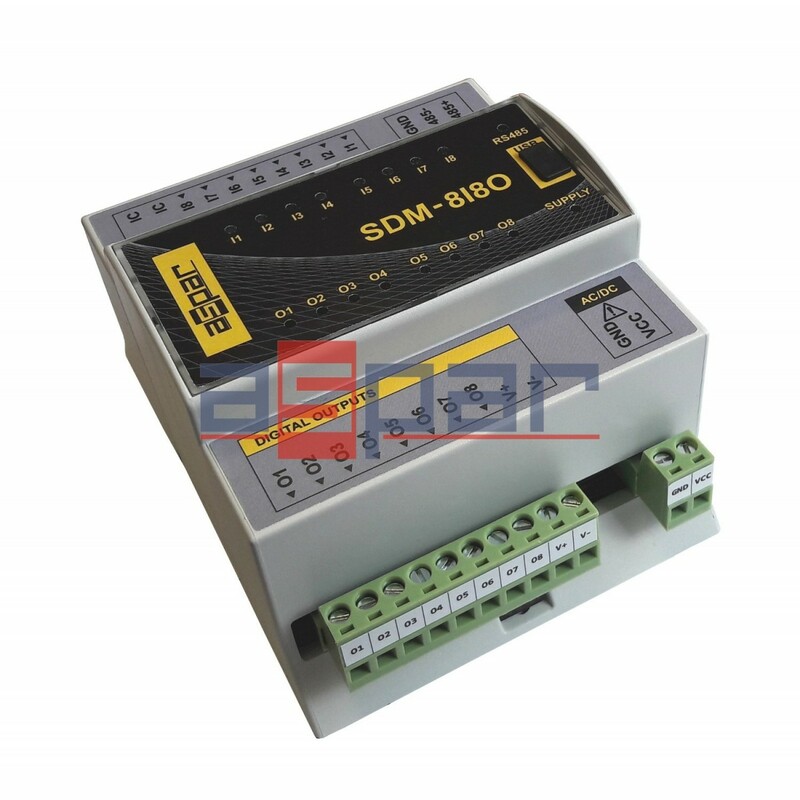 SDM-8I8O module is an innovative device that provides a simple and inexpensive extension of the amount of input and output lines in popular PLC. The module SDM-8I8O communicates with all commercially available PLCs and other devices that support popular Modbus Master protocol. The module has 8 digital inputs with configurable timer/counter option and 8 digital outputs. In addition, terminals IN1 and IN2 and IN3 and IN4 can be used to connect two encoders. All inputs and outputs are isolated from the logic system by optocouplers. 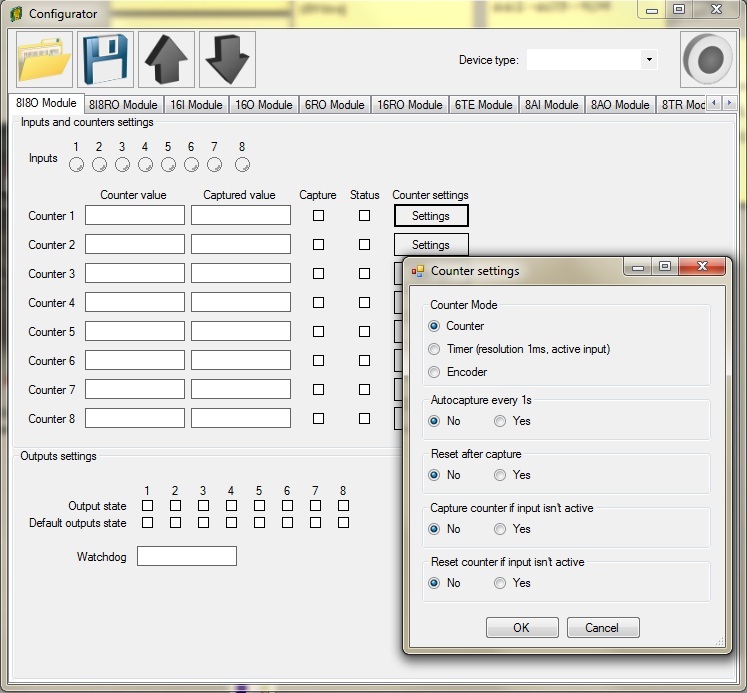 Each channel can be individually configured in one of several modes.